The cement market in Catalonia maintains the irregular behavior of the last months and, according to the estimates of the Cement Barometer of Oficemen, closed the month of November with a monthly fall of 13%. This figure places the interannual variation of the Cement Demand Index (CDI) at just under 1%, with a total of 1.85 million tons. For its part, the accumulated 2018 remains absolutely flat. The situation of the domestic market is strongly conditioned by the scarce activity of the public sector. The Catalan industry expects, among other measures of reactivation, the announced increase of the sanitation works by the Catalan Water Agency (ACA), once recovered from the historic deficit and ready again to invest in infrastructure. However, according to Salvador Fernández Capo, president of Ciment Català, the short-term outlook “remains uncertain”. This forces us to continue asking the public authorities for support measures to help curb the high energy costs of the industry, such as “an increase in permits for the energetic recovery of waste in cement factories, which will allow us to go beyond 29 Current% of substitution of fossil fuels in the averages of 60% that occur in the main European countries”. And, in addition to the weakness of the Demand – despite the 5 years of economic recovery in the country, the consumption of cement remains at a volume of 75% lower than the maximum of 2007-, the Catalan factories they suffer a competitiveness problem derived from the energy and fiscal costs they have to face. 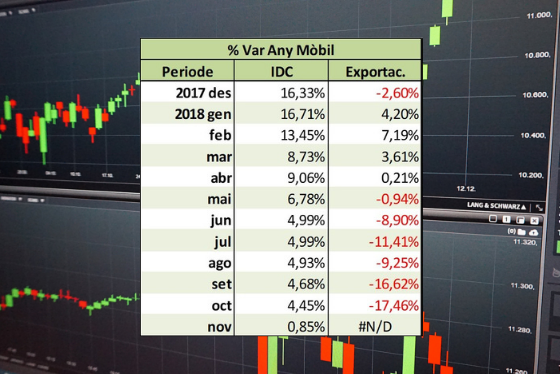 In practice, this situation is evident with the decline in production, which has fallen by 8% in the last 12 months, and especially exports, which fell by 17% in the last mobile year computed.